Olga Zubak, 84, Johnstown, passed away peacefully with her family at her side on April 10, 2019 at Memorial Medical Center. Born November 12, 1934 in Johnstown, daughter of Peter and Anna Derevjanik. Preceded in death by parents; husband, George; siblings, Helen Brodet, Marge Schneider and Joe Derevjanik; cousin, Agnes Herko. Survived by children; George M. (Donna Smith), Judith A. (Patrick Niemritz), Brenda L. (Garrett Sidor); grandchildren, George, Matthew, Michael and Kelly; brother, George Derevjanik also, numerous nieces, nephews and cousins. 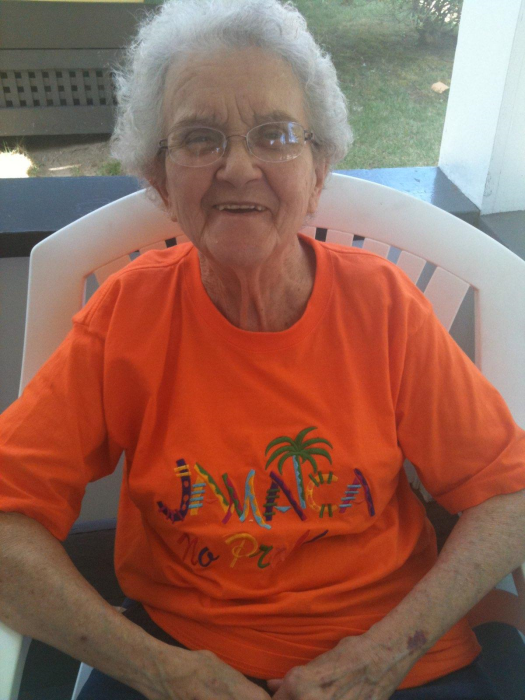 She was a member of St. Andrew Catholic Church. She loved playing bingo and bowling. She enjoyed spending time with her family and making perogies and halupki. The family would like to thank Olgas second family at Arbutus Park Manor for always looking after her and taking care of her. Friends will be received Friday from 2-4 and 6-8 pm at John Henderson Company Funeral Home, 215 Central Ave. A funeral mass will be held Saturday at 9:00 am at St. Andrew Catholic Church. Interment Grandview Cemetery. Flowers sent will be donated to Arbutus Park Manor or any donations may be made to Arbutus Park Manors Activities Dept.